Am I the only one who sees faces in everything? 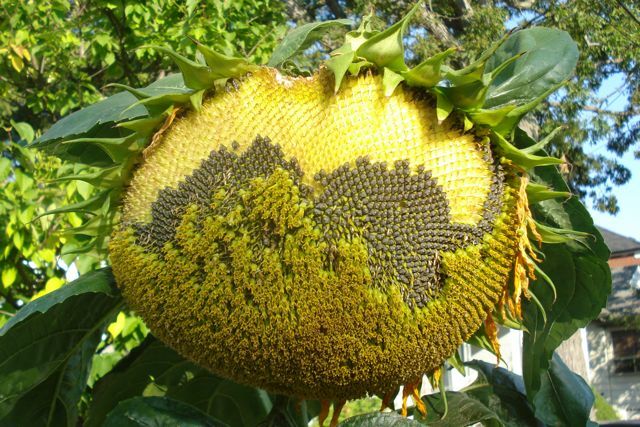 This sunflower seen near the lake end of Warden Avenue looks a bit like it’s wearing sunglasses – or is giving passersby a wink. Is it just me, Doctor? Denise and I misread everything, so seeing faces in veggies makes sense. I kind of see a panda bear! Either sunglasses or a brown corset with strange decorations and yellow skin showing on top!